Just when fans of The Quakers thought things couldn’t get any worse, it has emerged that the club are assessing their position, amid reports that they could find themselves entering administration for a third time in just nine years. The immediate future is not in doubt, as Darlo’s next match, against Gateshead on New Year’s Day, will go ahead. A further statement on the club’s situation is due next week. as chairman Raj Singh has only just returned from abroad. Measures taken by the club to try and avoid this latest administration include enforcing a pay cut on the playing staff, but unfortunately this hasn’t helped the club stay afloat. In fact, some players have claimed to have not been paid at all. To add to their misery, a transfer embargo was placed on the club at the beginning of December, meaning they won’t be able to strengthen their squad during the January transfer window. Captain Ian Miller has already handed in his 14 days notice to the club after not receiving his full wages for the past couple of months, which amounts to a breach of contract by the club. Miller is entitled to walk out under current rules. It has now emerged, as reported on the Northern Echo website, that the players have been told to expect the club to enter administration, for them not to receive December’s wages, and to not turn up for training if they so wish. Raj Singh now has a choice to make: either opt for administration, and a minimum ten point deduction, although that could well be increased considering it would be the third time in less than a decade. The other option would be to liquidate the club and with it bring an end to 128 years of history. Either way, the next week or so will be a dark and worrying time for Quakers fans, and I for one hope that their grand old club can find a way through its troubles. On January 3rd 2012, Darlington FC entered administration for the third time in nine years. 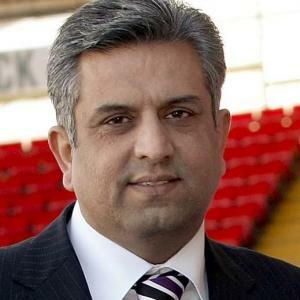 In an interview a few weeks ago, Singh worryingly stated that the club would not be able to survive a third spell in the hands of administrators, and liquidation would be the only option. We could well have seen the last of The Quakers, which would be a sad day for all fans of lower league and non league football. I sincerely hope it doesn’t happen, but it does seem likely at the present time. Darlington FC have now been deducted ten points as per the Football Association’s rules regarding clubs entering administration. This leaves Darlo on 27 points at time of writing, dropping them from thirteenth to sixteenth in the Conference Premier. They are now just five points above the relegation zone. Posted on December 30, 2011, in UTL Archive and tagged Conference Premier, Darlington, Gateshead, Ian Miller, Raj Singh. Bookmark the permalink. 1 Comment. Very sad to hear of the situation at Darlington. Not fully aware of the details and thus sure what has gone wrong with the club financially, but wish Darlington and their fans a prosperous New Year, much more so than they might currently be anticipating.